Alpha Amadou Diallo came from Guinea, and grew up in the Bronx where he attended the High School of World Cultures. Alpha has a Master’s of Arts degree in Sustainable Economic Development at SIT Graduate Institute with a concentration in Development Management. He has previously worked for an Immigration Attorney, a Civil Litigation Law Firm and most recently for JP Morgan Chase. Alpha speaks Fulani, French, Spanish, and English. Victoria Ogundipe was born in Nigeria. She is a Senior at Bard College of Simon’s Rock, with a focus in Political Science. Victoria has won many awards and scholarships in recognition of her leadership qualities and great potential. She is the Founder of Africa&Us, an organization that host yearly roundtables and discussion on ways to improve West Africa. Victoria speaks Yoruba and English. Aminata Bah was born in the Congo and raised in Guinea. She holds a Bachelor of Science degree in Accounting at Brooklyn College. Aminata is a Certified Public Accountant, currently working at Ernst and Young in New York City as a senior auditor. Prior to joining in Ernst and Young, she worked as a staff accountant at EisnerAmper. Aminata is a visionary and hopes to someday return home to help the economic development of the country. Lawrence Blaber Jr. came to the United States from Ghana at a very early age. He has a Master’s of Arts degree in Business Administration, wish a specialization in International Business from Niagara University. Lawrence has most recently worked as a Small Business Program Manager at Hope Coalition America. He is an avid political junkie and very passionate about economic policies. Lawrence is also a big fan of futball and rugby. He plays rugby, writes for a rugby website and coaches a youth team. Koku L. Afeto was born in Togo. He received his primary education at Lyceum Kennedy in New York, and graduated with a Bachelor of Arts degree in Business Administration from Dowling College. 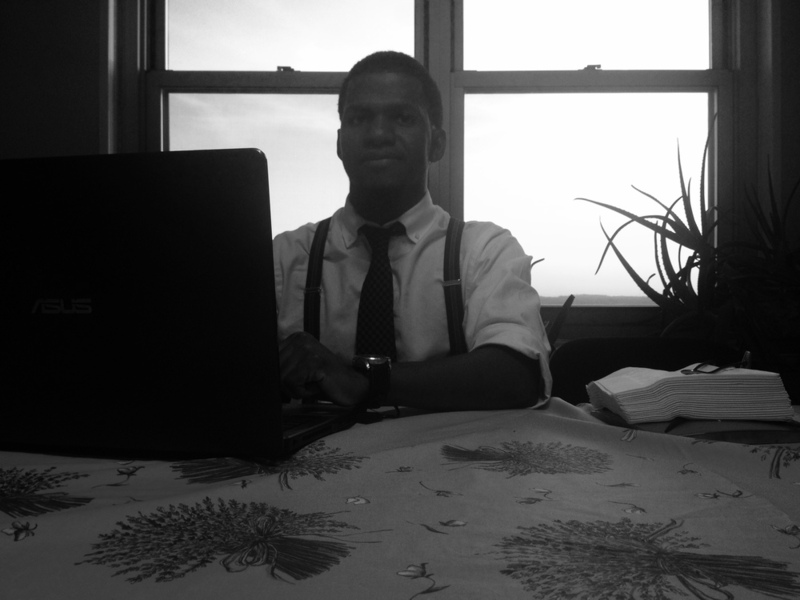 Koku has most recently worked at the Permanent Mission of Togo for the United Nations as an office manager. He worked as an administrative assistance at the United Aid for African Foundation and is currently self-employed as a freelance interpreter. Koku speaks Ewe, French and English. Abdulai Bah came from Sierra Leone, speaks five languages (English, Krio, French, Fulani and Susu). He has a long career with community radio and organizing. He is currently an Associate Producer with Aljazeera America. Until recently, Abdulai was a Program Associate at CNPI, with the People’s Producation House and is a member of Nah We Yone (“It Belongs to US), a non-profit organization that provides assistance to immigrants from Africa and elsewhere. Sara Altagracia was born in the Dominican Republic and grew up in New York. She has a Bachelor of Science in Finance from Hofstra University and a Master’s in Marketing from Fordham University. Sara has worked 10 years in the banking sector as an underwriter and has been working as a financial counselor for a non-profit organization. She is committed to community development and is volunteer-teacher of English as a Second Language. Sara speaks Spanish and English. Adama Bah came to the United States from Guinea at the age of two. Adama is our Program Director, and case worker helping to connect our members with resources. She leads and manages the Childcare Business Development Program. Adama has an extensive experience in working in different communities and organizations, including Harlem Children Zone, Inc, The Legal Aid Society of New York, and Bellevue Pediatrics Reading Project.